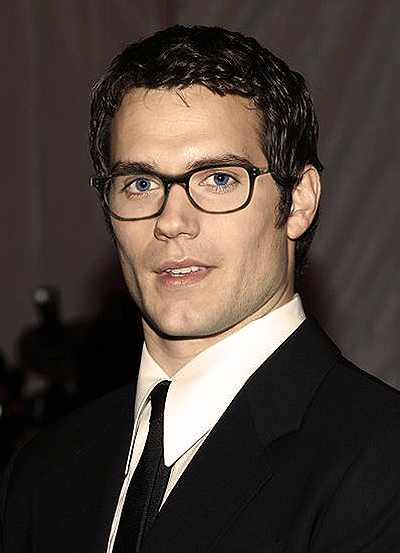 Full disclosure: I’ve been an admirer of Henry Cavill’s work (by which I mean his bone structure) for a while now. I’m fairly confident that he’s the most handsome man in the world (a position previously held by George Clooney), and he’s overdue a shot at the big time, so I was giddily over-excited to hear that he’s been cast as the new Superman. From what I’ve seen, the general response online has been very positive. Most agree that he looks the part. He has the jawline, brilliant blue eyes and dark hair. He’s not a bad match for John Byrne’s definitive modern interpretation of the character, though no human being could look good with the bulging neck that Byrne always drew. In fact I’d say Cavill’s only flaw is that he’s perhaps too good looking for Superman, who is the most sexless of all the superheroes. Cavill is also one of the shorter actors to play the role, but short here means 6′ 1″, so I think the magic of cinema can make it work. Yet it’s hard to think of a British icon who has not been portrayed by a non-Brit. Sherlock Holmes, Robin Hood, Queen Elizabeth I and, yes, James Bond have all been played by foreigners. In fact the first actor to play Bond was an American named Barry Nelson. Technically Woody Allen also played an American Bond in the 1966 Casino Royale. Even if you don’t count that, two of the five major movie Bonds were Australian and Irish, and plenty of Americans have been considered for the part, including Adam West, Clint Eastwood, James Brolin and Burt Reynolds. A better example than James Bond would be Doctor Who (or the Doctor, if you’re picky), who has always been played by British actors on the show, though he, like Superman, is an alien. Some fans probably would be appalled if an American took the role, claiming there is some quintessential British quality to the character that an American can’t hope to grasp, but I would put them in the same crackpot category as the Cavill bashers. There are some characters that probably should only be played by someone from the right country. Captain America springs to mind. He actually, literally stands as a representative of his country, down to his very name, and I think a substantial crowd would boycott an un-American Captain America. I don’t think many other characters fit in the same category. For all the rest, it’s more important that they are played as the right nationality than that they are played by the right nationality. And when you get down to the nitty gritty, it actually makes perfect sense for Superman to be played by a non-American. I don’t mean because he’s an alien, since that obviously limits the casting possibilities (and Rene Zellweger would be wrong for the part), but because he is an immigrant. He’s an American icon because he represents the dream of coming to America to achieve. His creators came from immigrant families, and their view of America was through immigrant eyes. Super-nerdy side note: If you read Action Comics Annual #1 from 1991, it’s established that Superman was legally recognised as having been born in the US (”from an artificial womb”) so that he would be eligible to run for president, but (a) we know that Superman was born on Krypton, (b) this is obviously a very stupid story, and (c) the immigrant reading of Superman is much more romantic and pro-American than the needlessly defensive ‘artificial womb’ reading. A few people have also complained that Tom Welling should have got the part. You know, the kid from Smallville, who plays pre-Superman Clark Kent. There is so much wrong with this idea that it’s barely worth rebutting, but the most obvious objections are that Welling is a terrible actor with wet eyes, and making a movie that’s associated with a crappy CW show with an audience of three million would needlessly hamper the movie’s appeal. We should all be very grateful to be spared a big screen Tom Welling Superman. On the other hand, he is an American. This entry was posted on Thursday, February 3rd, 2011 at 11:24 pm	and is filed under Comickry, Geekery. You can follow any responses to this entry through the RSS 2.0 feed. You can leave a response, or trackback from your own site.